Building sandcastles is child’s play. Who has not built them either at the beach or in a sandbox in the backyard. A dream world of make-believe in your fingertips, a personal kingdom fashioned just to your liking and desires. Sandcastles – big, small, elaborate or just a row of simple pillars made from upside-down buckets of wet sand. Some things never change. The dreams just get deeper and more intense. Cities of the world are built of the same stuff. Sand is the principle ingredient of concrete and glass. Skyscrapers are basically pillars of sand reaching the heavens, lifting and supporting its building occupants high above the earth. And the older we get it seems we prefer them bigger, higher and with fancier street names and fashionable zip codes. Nimrod was in the sandcastle business big time. The Bible refers to him as a “mighty hunter”. A mighty hunter not of the earth, but “before the LORD”. We never read anywhere where he ever hunted and killed an animal. But, he surely hunted after good real estate. There are nine cities listed in Genesis 10 attributed to him. And the man picked some prime real estate to build the greatest sandcastle of his day, what is commonly referred to as the Tower of Babel (Genesis 11:9). Jesus knows all things. He knew about this innate tendency within us to build sandcastles. You see, building them is easy for us. The material is plentiful, easily obtained, cheap and the results appear before our eyes almost instantaneously. 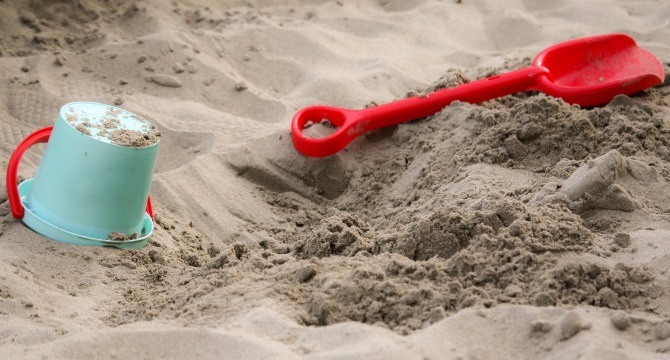 Building sandcastles and playing in a sandbox is a regulated industry. Within the sandbox are rules and regulations to follow. 1. Play nice. Consider who you are playing with and who invited you here. 2. Stay on your side of the line and don’t play in my sand. Play in your own sand. 3. Don’t ever wreck or touch my work and sand creations. And I won’t touch yours either. 4. Never, never, never offend me by throwing sand, especially in my eyes! Jesus came to this earth not to deal with its sand, Jesus came to this earth with the distinct intention of dealing with souls. Jesus came with the anticipation of life waiting to happen – abundant life. How we fall so short sometimes in realizing God’s expectations of us and how we fall short in realizing our expectations of God. There was one man in particular mentioned in the Bible who “got it”. His name was Abraham. A city built on rock and not sand. The Apostle Paul referred to many things as “My”: Gospel, Service, Helpers, Life, Kinsmen, Fellowprisoners, God, Brethren, Ways, Spirit, Work, Will, Liberty, Understanding, Soul, Joy, Children, Conversation, Body, Prayers, Record, Bonds, and Doctrine. Paul never penned the words “My Church”. Jesus is the only one to refer to the church as “Mine”. God’s church is His mighty fortress on the earth. 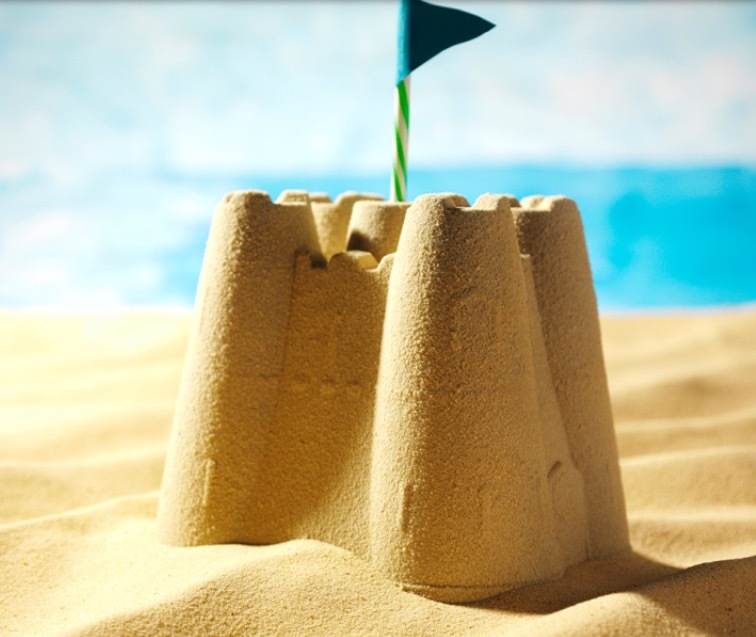 The opening scripture shows the enemy’s strategy to point attention to kingdoms made of and built upon “sand” – sandcastles. What castle am I building today, the one on earth or the one forged upon ‘The Rock’ Christ Jesus spanning both earth and heaven? Excellent! The sandcastles we pride ourselves on building will all fall to pieces. But the Rock will remain.